serve you with highest quality food! It is our greatest pleasure to serve you with highest quality food, exceptional service at the best price here at Indy Hana Fusion restaurant. 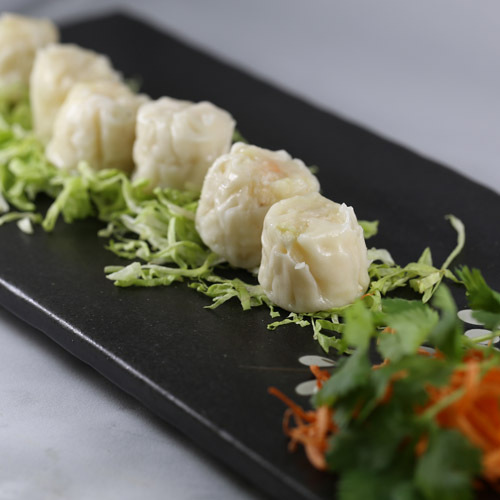 As a Frontier of Japanese Fusion Restaurant, we are proud of our high quality food, which is derived from the finest ingredients, Freshness of fish, meat and other ingredients are the key to customer's satisfaction. Our freshness is never compromised by our chefs. 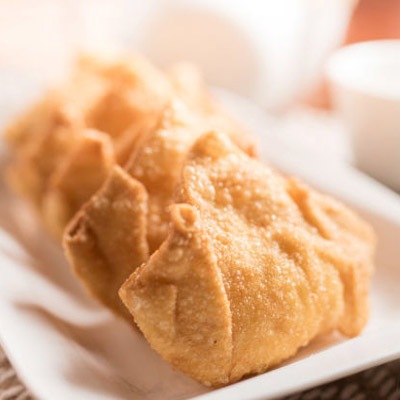 This crisp, fried wonton is loaded with cream cheese and crab goodness, and it's an absolute party favorite! 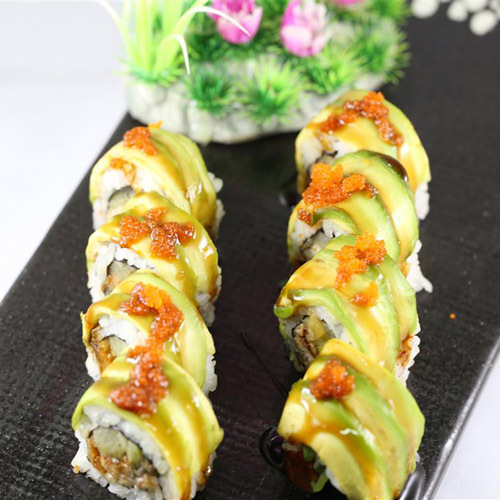 Dragon roll is an outside thick roll of eel and cucumbers wrapped with thinly sliced avocado. This is probably my favorite place to eat sushi on the south side of Indy. Service is friendly and the sushi has been consistently good after several visits. ... by Jonathan E.
The food presentation was excellent! The food presentation was excellent, very appealing and displayed with artistry on the plates.... They have a wide variety of unique and create own sushi. They are open long and late hours. ... by Chad M.
The best Asian fusion we've ever had. The volcano roll is excellent. I got the hibachi chicken and donnie got general tso. Everything was so good and I really like the atmosphere. Service was perfect. ... by DonnieBillie P.